From all of us at deVine’s to you and yours, we wish you a very Happy New Year in 2017 with all the best for happiness, good health and prosperity. May good fortune and luck follow you wherever you go and in all that you do for the coming year, 2017. 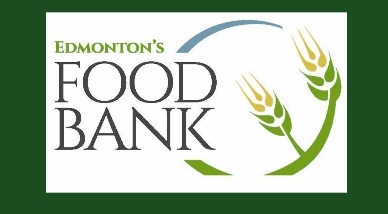 Big thanks to our Team at deVine Wines and our partners in the wine industry for stepping up for Edmonton’s Food Bank on short notice. Together, we raised almost $5,000 in bids for our impromptu silent auction and filled two large bins with food for those in need.. Kudos to Dirk Chan for administering the auction, the Evaristo Family for their generous contributions and our special partner, Chris Graham, Owner/Pharmacist of Shoppers Drug Mart, Edmonton City Center East. Chris partnered with Ed Fong in a scheme to demonstrate how we need to “think outside the box” when it comes to helping charities in these difficult times. 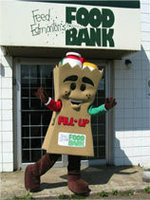 Ed proposed he redeem all of his Shoppers Drug Mart points for peanut butter, a highly sought after item identified by the Food Bank. Chris said he would match Ed’s donation dollar for dollar, and together, were able to donate 72 jars of peanut butter. 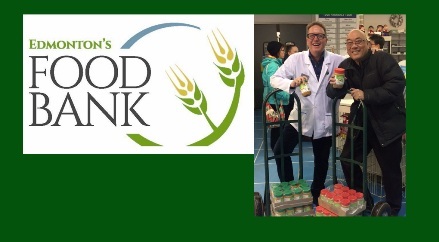 Both Ed and Chris were able to tap into another method of helping Edmonton’s less fortunate. Christmas is the time of the year when nostalgia reigns , a scent or picture evokes a memory of our childhood. For many of us those memories are strongly related to food and our mothers’ or grandmothers’ cooking. 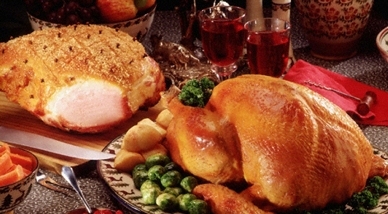 We always get asked what we eat at Christmas, so this year we collected recipes from our deVine family to share with you. 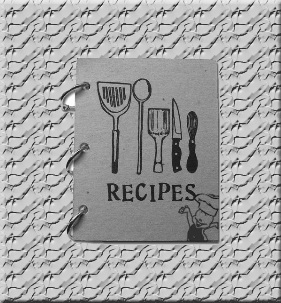 Note the recipes will download as a Word ‘docx’ document when clicked. We wish you and yours a Merry Christmas and a Happy and healthy New Year! Only a few days left before Christmas is here. 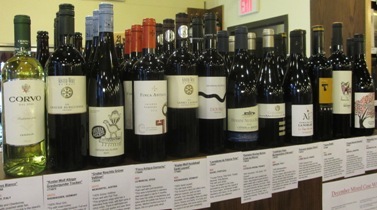 So, here are a few last minute nic nacs for the wine lover. Stocking stuffers and more for your consideration…. Top of the season to you and yours! Finally, if you are pressed for time, try out our December Mixed Case – $231.13 where a lot of the wines would pair well with Christmas dinner. As Christmas approaches, deVine Wines is running an online auction in support of the Edmonton Food Bank, who desperately need our help as supplies are extremely low due to the extra assistance required after the Fort McMurray fires displaced thousands of people this summer. The auction is live as of now, and will end on deVine’s Customer Appreciation Day, Thursday, December 15th at midnight. Those so wishing may also email your final reserve bids to us at “info@devinewines.ca” and we’ll bid for you in $10 increments. All 100% of the proceeds generated by this auction will be donated to the Edmonton Food Bank to help with the seasonal rush, and prevent any families from going hungry during the holidays. We will be contacting winning bidders right away and ask that you pick up and pay (by cheque or cash only please) up by Tuesday, December 20th so there is enough time to use the moneys for the holiday season. We’ve set up boxes at the store, so please bring in food item(s) on your next visit, or if you prefer, a box has also been set up to accept monetary donations. In this crazy world we live in, we have to think about those less fortunate than ourselves, we thank you in advance for participating in this worthwhile fundraiser. 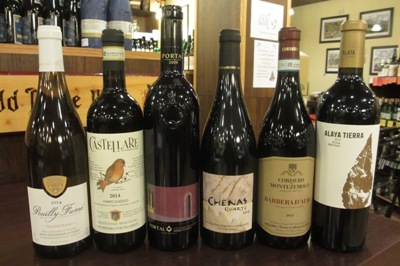 Please visit and bookmark our online auction page located https://devinewines.ca/eventAuctions/auction.html. We’ve reached out to our many agent friends and items will be coming fast and furious over the next several weeks so check back often and email us your bids..Thank You! Mark your calendar for Thursday, December 15th! 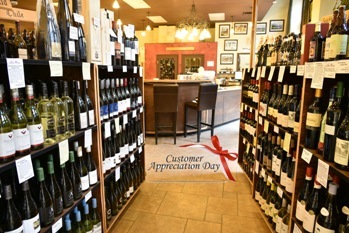 Every year, deVine Wines hosts our Customer Appreciation Day – Thursday, December 15th to say a special “Thank You!” for your ongoing support and patronage. deVine Wines will be offering our customers a 10% discount ** on all in-stock regular priced wines and spirits. The sale will run all day, starting at 10:00 AM until we close at 9:00 PM. There will be four wine stations and one beer station set up for free sampling from 3-6pm. It’s a great opportunity to do all of your Christmas shopping in one day. See you on Thursday, December 15th. 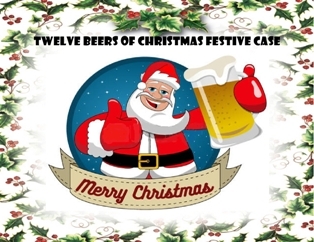 1) Twelve Beers of Christmas Festive Case – $109.99 – every year, we do a specialty Christmas Festive Case for beer enthusiasts. This year was tremendous for the Craft beer scene in Edmonton, the enthusiasm and adventurous customer response enabled us to bring in many, many new products for you to try. This case epitomizes the year with both quality and excitement. Very limited edition – only 50 cases made. 2) The deVine Wines Staff Picks Six Pack – $192.92 – every year, our favourite staff picks are packaged into a six pack box, for those who wants something a little extra special rather than the everyday drinker. 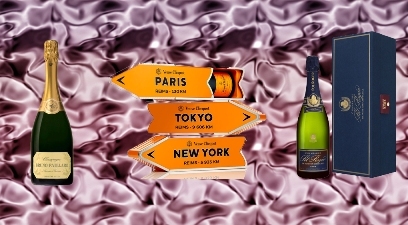 The wines represent great quality for price ratio, and also great food pairing wines. 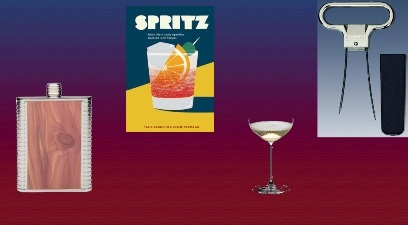 See which staff your palate matches up to. 3) Our ongoing Case of the Month – $231.13 – for December’s case, we usually step it up slightly, but still manage to keep it in that affordable range. There are wines here for the Turkey Dinner, with representation from numerous countries that represent varietally correct wines. Enjoy! Get yours early, these are limited editions and get snapped up pretty quick.